“I have been shifting alot of my focus to paid traffic because it is the easiest way to scale an online business fast. 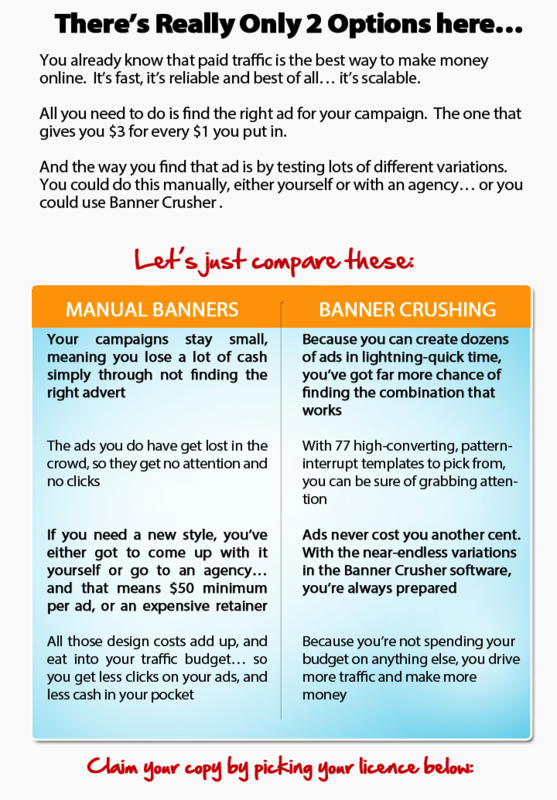 I was spending so much time on making banners and split testing FB ads until I got a hold of BannerCrusher. 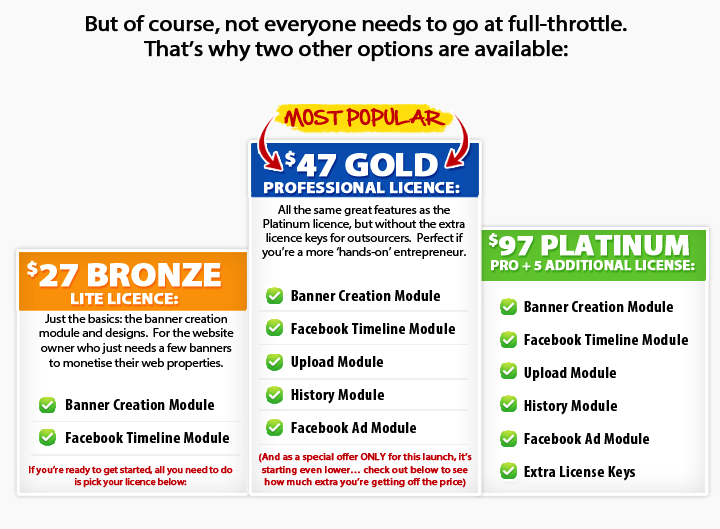 Now I can create 60 FB ads in 5 seconds and have a bunch of proven banners to use when doing my media buying. Everything I’ve bought from Paul Clifford is an excellent buy. He’s also great with customer service and loves helping people. The fact this is also made cross platform to work on pc and mac is major plus for me and most marketers I know since most have a mac these days as well. Looking forward to playing with this. “Hey Paul, just wanted to drop you a few words of thanks about BannerCrusher. Secondly, talk about useful. You’ve covered all the core ad creatives and the social media branding (Facebook banners, etc) just add to the value here. We are creating a new online version of bannercrusher.. and until its ready and paint has dried we have removed the buy buttons…just for now.